Everyone talks about being a mother and how devastating it is when your child diagnosed with autism. I bring a different perspective, that of a grandmother. 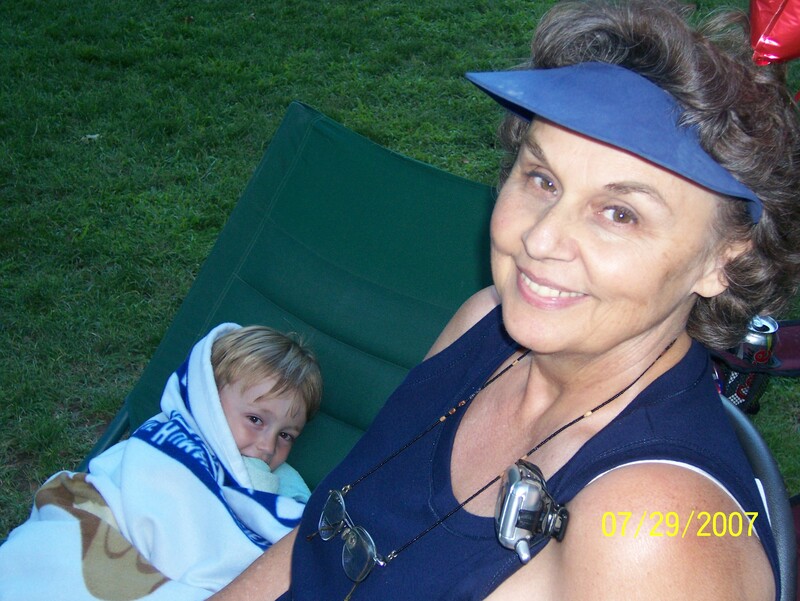 My grandson was diagnosed with Autism Spectrum Disorder at 3. That day I not only lost my grandson, but I lost my daughter too. All those things that regular grandmothers do with their grand kids weren’t going to be available for me. All the fun times my daughter and I would have shopping and taking the kids to the park, going out for ice cream, gone. As a mother you cry, mourn, and look for reasons; then you pick yourself up, dust yourself off and begin to learn all you can so you can heal your child. As a grandmother, all you can do is cry, mourn for your daughter and…wait. As much as you love your adult children, it’s not your place to “take over” even though you’re dying to help. You have to wait, and while you wait, you read, study, go to all the conferences and learn about special diets, therapies, etc. I remember my son-in-law telling me that I had no idea the sense of loss they were both feeling because it was not my child. What he didn’t understand was that, as a grandmother, my grief was double. I had lost my dream of a “perfect” grandbaby as well as the typical mother-daughter-grandbaby relationship I had always dreamed of. You know, the one where you can share the things the grandchildren do and reminisce about raising your own children so long ago. Gone were the days of shopping, gardening and lunch dates when the kids were in school and you had free time. Instead it was IEP’s, checking out appropriate classes and therapies, finding a great doctor, good speech therapist, ABA provider and all those other issues that families with ASD face every day. Dietary restrictions, sensory integration issues, the inevitable tantrums and all the other challenges brought by autism made the simplest trip or occasion a major ordeal. Autism treatment is very expensive and pooling our resources seemed the wisest thing to do. The diagnosis was in October and the next February we grew from a family of two, a retired grandma and grandpa, to a family of 6, all in a 3 bedroom house with a typical 18 mo. old and an almost 4 yr. old with autism. We became a three generation household all dealing with sleepless nights, tantrums, special cooking, GFCFSF, special supplements, rotation diet, driving to therapies, etc. Needless to say we learned a lot about ourselves, each other and of course, autism. Here we are 6 years later. 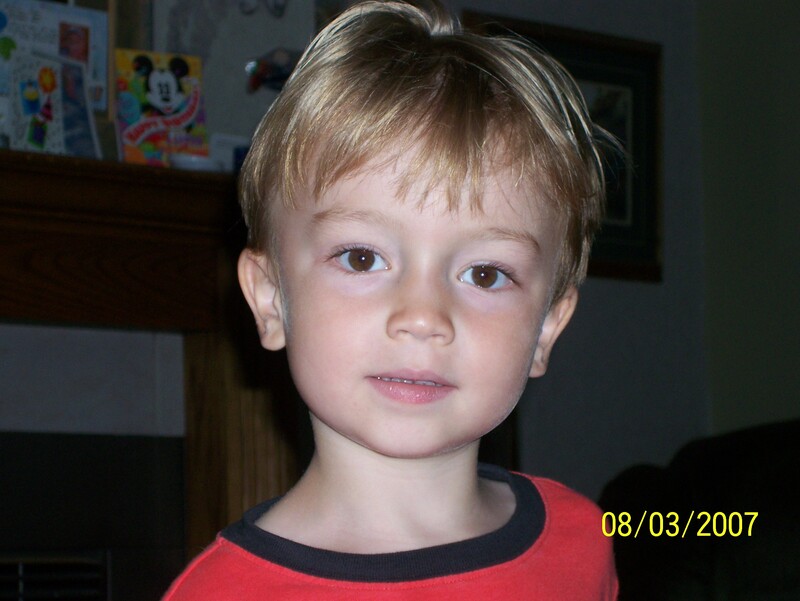 My grandson has done very well, his ATEC (Autism Treatment Evaluation Checklist – 1) at diagnosis was 140, it is now 40. When diagnosed he had no speech, very little language, sat quietly and played and had no interest in the world around him. Today he is very personable, loves to talk and be part of the family, loves to draw cartoons, reads like a college professor and has improved dramatically overall. We still do the special diet, still do biomedical, still do behavior therapies and he still has autism. However, along the way, the sense of loss that we all felt has been tempered by learning who he really is and finding joy in that child, not the one we imagined he was. It is said that it takes a village to raise a child. I think the real statement should be “It takes an entire family to understand, heal and recover a child with autism”. Autism is not easy but it has taught us all that there are so many more important things than being able to “go for an ice cream cone” or “play on the swings at the park”. We have learned to appreciate every milestone no matter how small. We have come to cherish every smile and every hug, no matter how fleeting. We have met some remarkable folks on our journey, people who have made our lives so much richer and deeper. We’ve also been able to help many families on their journey to recovery because we understand what they are going through. As a family we are closer, more patient and more understanding than we ever were before the word “autism” entered our lives. We also have a greater sense of family and connection since the diagnosis. As individuals our weaknesses have been challenged, our strengths have been stretched, our beliefs have been strengthened and our resolve has become unwavering. It is also said that what doesn’t kill you makes you stronger. I will add to that what doesn’t kill you makes you better, if you let it. 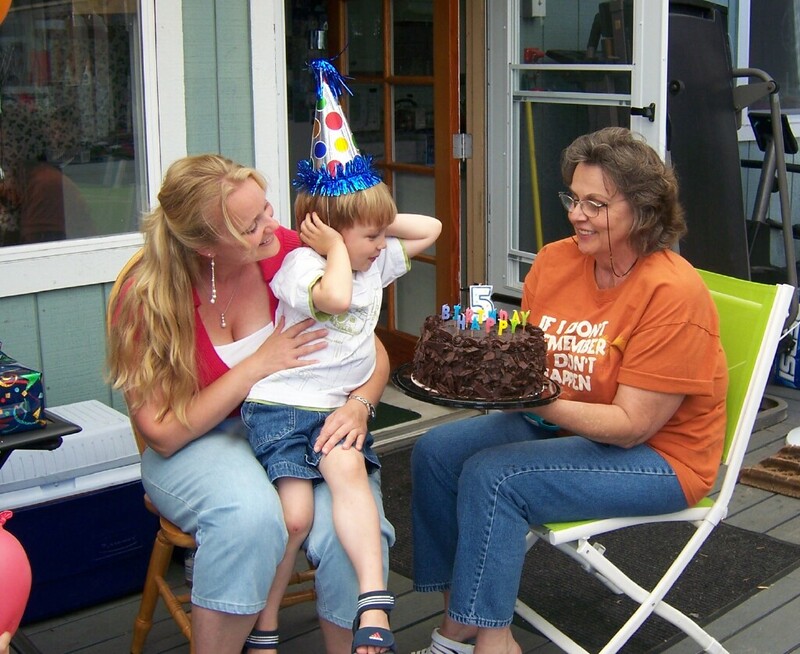 Can I say I am glad that my grandson has autism? Absolutely not! But is it the devastating diagnosis we once thought? Absolutely not! Our lives have taken a different course than we expected, but it’s those unexpected turns along the way that have made this journey of life so much richer then we ever dreamed it could be. Editors note: Nancy is an awesome grandma and mother. She also works hard to educate families via TACA’s Santa Rosa chapter coordinator efforts. We appreciate grandparents like Nancy beyond words. Wow…thank you Nancy for writing this!! I need a box of tissues right now. I will be sharing this with my mother who lost her daughter (me) on 10/7/2010 when my son Max was diagnosed. The good news is….I am fighting my way back…stronger than ever!! I am slowly accepting my beautiful child as he is…and saying “goodbye” to those thoughts of “what he could have been”. Like your grandson, my son has come along way and I have so much hope. I also have a wonderful mother who has been my rock throughout this journey! God bless!! Danielle – mom to 3 1/2 yr old Max. We love and appreciate Grandparents!!! Thank you Nancy!! I applaud you Nancy for being involved and caring about your grandchild’s well being. Sadly, my children’s grandparents could care less about their diagnosis and what we are doing to recover them. They want to hear that everything is just fine so that they can go on living their lives. We drown some days, and it is super hard to not wonder what having a grandparent around would be like. I don’t say this to make mine a sob story (my husband and I love them enough for a whole family), but to really say that I deeply admire you being a part of your grandson’s life and really taking the time to get to know him. It’s hard for me to imagine not wanting to get in there with my daughter or sons and do all that I could in this type of situation, but there are plenty of grandparents out there who just look the other way because they are afraid. It is so wonderful that you were brave enough to get involved! I so appreciate your perspective Nancy , I knew mothers and grandmothers like you existed, I just knew it! I am further along the line and in a different direction, it’s hard to write, but I’d like to add another perspective if I may. My own mother told me that the difficulties and unending sleepless nights I experienced with my first child were things I just had to get used to. She had warned me before his birth that I should not expect her and my dad to be unpaid babysitters. For some reason I had stars in my eyes about how the joy of a new baby would make our family become like regular families ( like yours). The truth is my mother didn’t mother us,her own children ,there was an absence of attachment I am now told. There was no typical mother -daughter relationship and subsequently no typical mother-daughter-grandbaby relationship. I saw doctors, early education experts and a psychologist on my own as my husband did not cope well with our son’s unusual behaviours. Unfortunately the experts declined to name my son’s condition as they believed labelling him would be detrimental. I quietly disagreed with them and did not want to send him to school without some kind of intervention. I was heartbroken but could do nothing without a diagnosis, and just knew in my heart things would not go well. How I longed for a mother to lean on. My darling boy endured school, was ridiculed and known as the school ” freak”,” idiot”, “spastic”,” psycho”, “naughty boy”, Teachers asked me what was wrong with him, people looked down their noses at his strange behavior and odd mannerisms and I felt their judgement. No school awards for him. Aged 8 he spoke of suicide , but I was told not to be concerned as 8 year olds usually don’t follow through.My parents thought he needed more discipline. Given a diagnosis of autism age 12 ,his IQ assessed as normal , too late for early intervention, bad luck,what a shame , do the best you can. He became suicidal again at age 13, requiring psychiatric care and medication.. I did home schooling ,he learnt well with some adaptions -and what a joy! I saw him improve, learn , grow, succeed at school work finally and I had no one to share it with. There were no awards or recognition from anyone besides myself to acknowledge his success. Here we are years later, he is in his 20’s,unable to work, terrified to leave the house, fearing he will be ridiculed, a type of PTSD I am told. Without an early diagnosis and family support not only did my beautiful boy miss out but so did my family and so has society. Nancy keep doing what you are doing, it certainly does take a family to understand and raise a child with autism plus support and care for each other, and grandparents are precious. Nancy the world needs more family members like you! Your daughter and grandson are super blessed to have your unconditional love and support. I wish my mother in law had even a 3rd of your compassion. All I hear about is the “other” grandchildren, how cute they are, how well they eat, how they interact so well with other children. Sometimes I think that family members who are insensitive to the needs of ASD children and their parents are just plain selfish. Its not about who’s the favorite “Nana” its about the child. Thankfully My Mother has been a wonderful support system for me and my child, but she’s into her 80’s now and I know that someday she’ll still be with me but not here. Bless you!